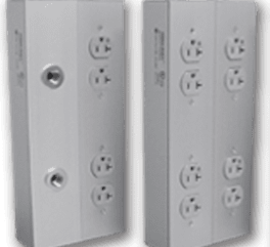 Isolated Power Systems are designed to protect patients and caregivers from electric shock in “wet procedure locations”. 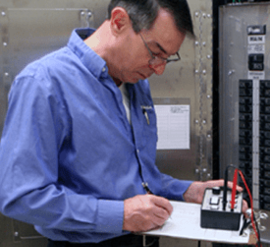 PG LifeLink offers Start-up Commissioning, Recertification, Annual Testing and Upgrades for all brands of Isolated Power Systems. 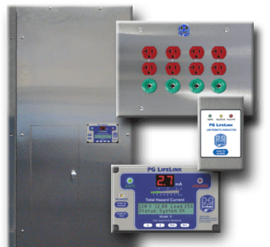 LabLink products provide solutions for the containment of power, data and lab gas services. Most commonly installed in laboratories, but also utilized in other markets. Through continual improvement, we strive to meet the needs of our customers by delivering the right product at the right time, first time, every time. We invite you to choose PG LifeLink. From design to installation, we will be with you every step of the way. For more information or to order PG LifeLink products, please contact us today or call 1-800-287-4123. 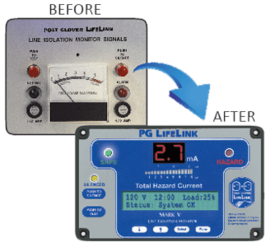 With more than 55 years focused on critical power safety, thousands of hospitals across the world rely on PG LifeLink equipment to protect their patients and employees. PG LifeLink has pioneered innovation in the power industry since the beginning. This includes the versatile Surgical Facility Panels of the 1960’s, the first Duplex and Dual Voltage Panels of the 1990’s, to today’s streamline LED LabLight and Mark V digital Line Isolation Monitor (LIM). Our Engineers can work with Consulting Engineers, Contractors and Planners to create solutions that fit the unique needs of each project. We have the knowledge and experience to get the job done right. Project quotations are provided within one day of request and drawing submittals are sent within two days of a purchase order. Three to four week delivery commitment on most projects. PG LifeLink’s products are 100% assembled in the United States.